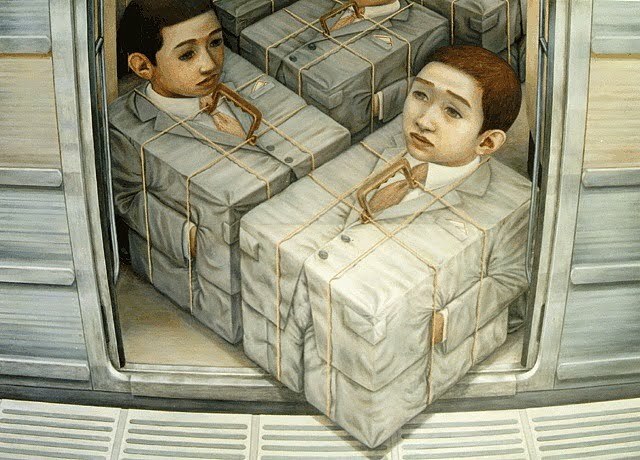 ARTnTHAT: Surrealism is a way of life. Surrealism is an art style that greatly interests me, I think since visiting Kelvin Grove Art Gallery and seeing Dali as a child, Surrealism has left a lasting impression on me. 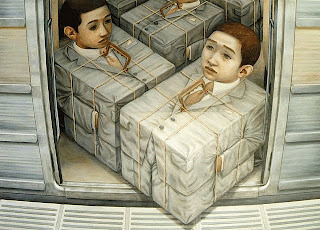 This is the work by an painter I recently discovered called Tetsuya Ishida- I think I relate to this piece as I particularly hate the lack of personal space and claustrophobia in public transport.